In the next two years, 51 % of employers are likely to increase their spend on executive education, presenting a great opportunity for business schools. The finding comes from Executive Education Futures, a study conducted by CarringtonCrisp and a group of international business schools, examining market developments in the corporate learning sector. While the market potential is great, business schools need to carefully consider their executive education provision if they are to build a successful offer. The market is becoming increasingly competitive with management consultants and new technology-led providers entering the executive education field. 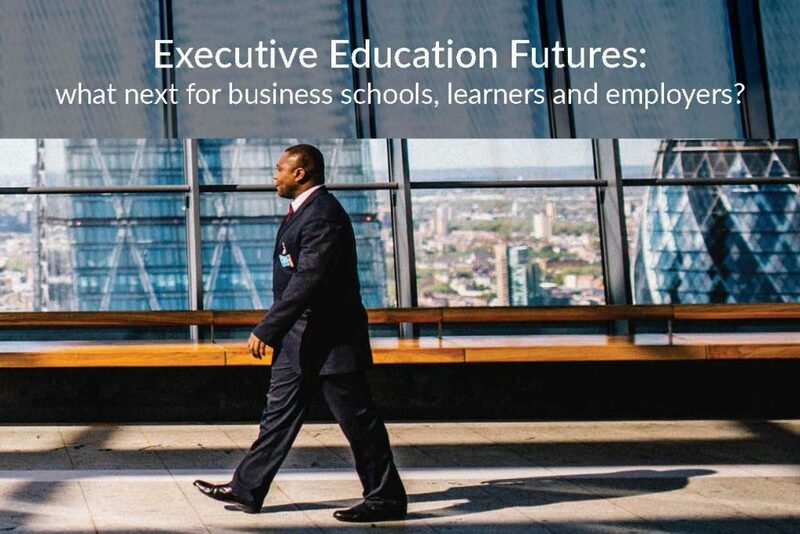 As part of the Executive Education Futures study, 268 corporate purchasers of programmes were surveyed and found that a quarter believe business schools are too theoretical and not sufficiently abreast of the real-world business challenges that companies face. Business schools will need to be flexible, deliver impactful learning, embrace technology and provide value if they are to build an attractive executive education offer. While there is debate among corporates about the potential of purely online delivery, seven out of ten agree that they anticipate more of their executive development in the next three years to involve blended learning. In a second study as part of the project, individuals were questioned about their learning habits and 65 % agreed that short programmes leading to a certificate with the option of credit for further study leading to a degree were a useful option. Just under three-quarters (74 %) of individual learners would consider a micro-credential, while 63 % would consider a qualification leading to a digital badge. The danger is that business schools could miss out on opportunities in the new executive education marketplace. Leveraging their expertise in developing curricula, pedagogy, and the science of learning to provide them with an advantage may be key for business schools to succeed. However, schools will also have to increasingly embrace technology, not just in delivering programmes, but also to ensure they maximise impact. Increasingly, technology is being used to measure the progress of individuals taking part in executive programmes to help understand why some learners get more from a programme than others. Providers can use data to refine their courses during delivery to support those who might not be making the most of the learning opportunities. In the corporate survey, the top priority when considering which provider to use is ‘learning that enables staff to have an impact at work’. Whether it’s a flexible solution for a corporate or a personal experience for an individual, the delivery of executive education by business schools is set to be transformed with technology playing an ever more important role. Learners will increasingly get to progress at their own pace, choosing when and where to learn and to an extent customising what they learn. Successful learning will also need close brand fit ensuring the business school shares values with businesses and learners, delivering the impact desired. You can access the full study on the CarringtonCrisp website.